For decades, tissue grafts have been popularly used in a variety of clinical conditions for repairing or replacing of diseased or lost tissue in human beings. Skin grafts have been found to be useful in saving the lives of severely burnt patients. Tissue banking has gained increased significance world over in meeting the clinical needs of adequate amount of transplantable human tissues at the time of grafting. It consists of activities for safe harvesting, storage, processing, and distribution of human cadaver tissue, wherein long-term storage is done within the temperature range of -18°C to -86°C. The tissue banking organization in various developing and developed countries is noticeably governed by stringent tissue transplant acts and regulations. Apart from clinical use, there have been extensive demand for transplantable tissues in research. Advancements in tissue preservation methods and efforts to up the clinical success of tissue grafts in managing skin conditions and major trauma patients have provided a robust foundation for expanding the tissue banking market. Tissue banking is increasingly demanded for blood transfusions, cellular therapies, regenerative medicines, and vaccines. The global market for tissue banking is projected to rise at a healthy clip over the forecast period of 2016–2024. The report offers comprehensive and in-depth insights into the key growth drivers, prominent technological trends, major advancements, prevailing regulatory framework in various regions, promising prospects, and the competitive landscape. The pressing need for an adequate supply of transplantable human tissues primarily for clinical applications and research is a notable factor driving the market. A vast rise in geriatric population in developing and developed regions and the growing prevalence of congenital defects are crucial trends stoking the demand for replacing or repairing lost or damaged diseases tissues. The rising incidence of neurological disorders and various types of cancer among worldwide populations has fueled the demand for autograft and allografts. The substantial rise in rapidly aging baby boomer generation is also accentuating the demand for tissue banking activities. The growing popularity of bio-banking of normal and tumor cells is helping in the rapid expansion of the market. With regenerative medicines getting more recognition in healthcare centers, the activities of tissue banking will get favorable boost. Constant advances in storage system and labelling and coding equipment bodes well for infrastructure of tissue banking. Coupled with this, the rising volume of exports and imports of transplantable tissue foe treating chronic diseases is opening lucrative avenues in major regions. With regenerative medicines getting more recognition in healthcare centers, the activities of tissue banking will get favorable boost. Constant advances in storage system and labelling and coding equipment bodes well for infrastructure of tissue banking. The emerging demand for tissue banking in bone marrow transplant is a notable factor expected to catalyze the growth. Regionally, North America is a prominent market for tissue banking and is expected to account for substantial revenue share during the forecast period. The vastly rising demand for transplantable tissues and skin grafts among various populations, especially across elderly people, is accentuating this regional market. Meanwhile, Europe is expected to rise at prominent pace, fueled by notable governmental directives and regulations to establish harmonized approaches to tissue regulation. Asia Pacific is a lucrative regional market and is anticipated to collect attractive revenues over the assessment period. The substantially rising demand for regenerative medicines is boosting this regional market. The mammoth investment required to set tissue banking facilities and the need of higher technical expertise account for intensely competitive landscape of the tissue banking market. 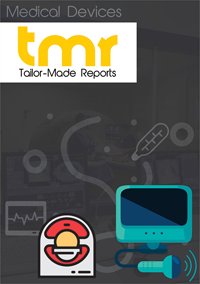 The strategic landscape is thrived by presence of a massive number of large original equipment manufacturers with relatively few dedicated facilities offering services pertaining to tissue banking. Leading players opt for strategic mergers and acquisitions and are focused on consolidating their product pipelines, in order to get a better foothold in the market. Prominent players operating in the tissue banking market include Panasonic Biomedical, Backman Coulter Inc., Taylor-Wharton, Thermo Fisher Scientific, and Brooks Automation.